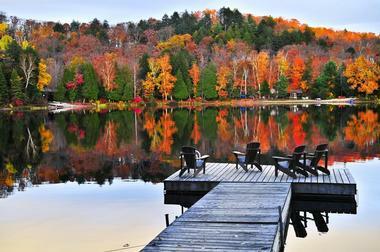 Ontario, Canada is home to endless forests, vast wilderness, over 250,000 lakes, and an abundance of wildlife. The province has several prominent natural attractions, including the Algonquin Provincial Park, Niagara Escarpment, and Bruce Peninsula National Park. 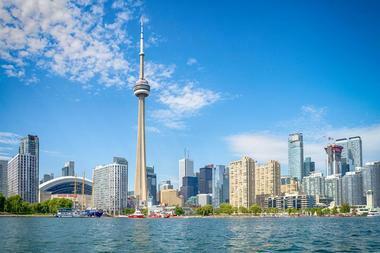 It also boasts the thriving cities of Toronto and Ottawa. Algonquin Provincial Park consists of nearly 3,000 square miles situated between the Ottawa River and Georgian Bay in Ontario. Its home to rocky ridges, maple hills, thousands of lakes, and over 750 miles of rivers and streams as well as various plant and wildlife like wolves, moose, deer, and beaver. 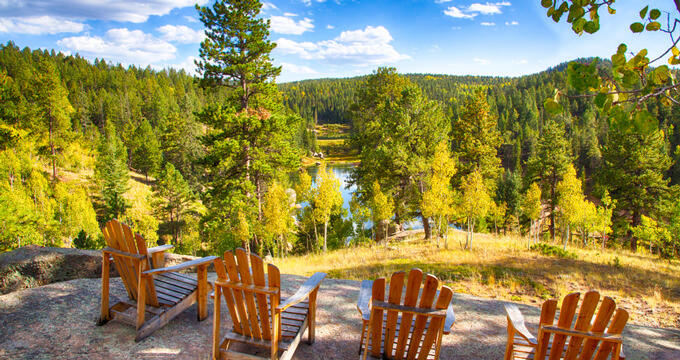 The park provides visitors with an array of outdoor activities year-round including camping, fishing, horseback riding, mountain biking, cross-country skiing, and day hiking. There are 19 interpretive trails throughout the park ranging in length and difficulty from 0.62 to 7.21 miles. Each trail is equipped with a trail guide and is designed to introduce visitors to a particular aspect of Algonquin’s history of ecology. Located on a section of UNESCO’s Niagara Escarpment World Biosphere Reserve, Bruce Peninsula National Park boasts 97 square miles of beautiful and varied landscape. Dramatic cliff sides dotted with ancient cedar trees jut out above the magnificent turquoise waters of Georgian Bay. The park is home to large expanses of mixed-wood forests, clear-water lakes, diverse wetlands, limestone coasts, and vibrant orchids. It is the traditional home for the people of the Saugeen Ojibway First Nations, and serves as a protected preserve for over 200 species of birds, amphibians, mammals both large and small and a few rare reptiles. The park is a captivating outdoor playground providing year-round activities including hiking, scrambling, swimming, camping, and cross-country skiing. Burlington is situated between Niagara Falls and Toronto along the edge of Lake Ontario. A magnificent city that often gets overlooked, Burlington boasts an exquisite gastronomy, gorgeous gardens, a thriving art scene, historic architecture, and several famed natural areas. The latter includes the Niagara Encarpment, a UNESCO World Biosphere Reserve, the Mount Nemo Conservation Area, and Spencer Smith Park. 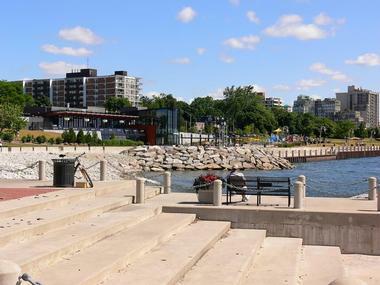 It is home to several unique attractions including the Brant Street Pier, a nearly 450-foot, S-shaped pier extending out over Lake Ontario and the legendary Discovery Landing, a 14,200-square-foot landmark building. It boasts an observatory outfitted with grand, floor-to-ceiling windows overlooking the picturesque Royal Centennial Pond. 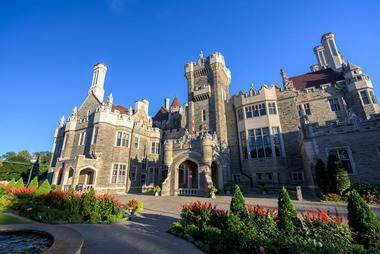 Located in the city of Toronto, Casa Loma is a historic castle dating back to the Edwardian era. The five acre property is surrounded by a wooded hillside boasting decorative grasses and wildflowers, verdant flora, trickling fountains, and ornate sculptures. There are also several meticulously cared for perennial displays. 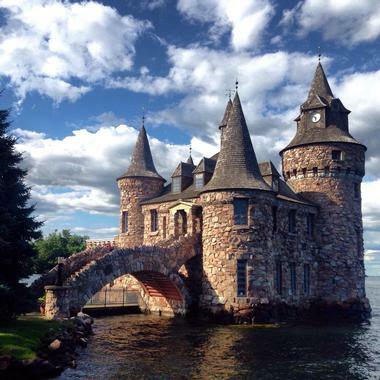 As the only North American full-sized castle, it draws visitors in with its elaborately decorated rooms featuring authentic period furnishings and secret passageways. The grounds also have a carriage house and stables connected to Casa Loma via an 800-foot tunnel located 18 feet below Austin Terrace. It is home to the exhibit Toronto’s Dark Side, a photographic tale of the city’s darker days including The Plague, Prohibition, and The Depression. Often considered the sixth Great Lake, Georgian Bay boasts 1,242 miles of gorgeous shoreline and is home to over 30,000 islands. The area consists of majestic towering cliffs, windswept pines, and endless beaches with crystal clear blue waters creating a serene beauty. It is a freshwater playground for anglers, boaters, and kayakers during the summer and a white wonderland for snowshoers, snowmobilers, and skiers in the winter. Georgian Bay’s 30,000 islands and 32 historic lighthouses makes up the biggest freshest archipelago in the world as well as Georgian Bay Islands National Park. This area can be explore by canoe using a local outfitter such as White Squall. Greater Sudbury is located in the heart of Northeast Ontario. Known as the city of lakes, its home to 330 lakes including its largest, Lake Wanapitei. As the largest municipality in the providence, Greater Sudbury offers urban comforts, world-renowned attractions, and natural areas. The latter includes Lake Laurentian Conservation Area, Fairbank Provincial Park, Wanapitei Provincial Park, Fielding Bird Sanctuary, and Kivi Park. These Parks are popular for a wide variety of outdoor recreation adventures like hiking, biking, cross-country skiing, camping, bird-watching, swimming, and boating. Several interactive museums can be found throughout the city such as science museums Science North and Dynamic Earth and history museums Anderson Farm Museum and the Northern Ontario Railroad Museum. Hamilton is an industrialized port city located along the west end of Lake Ontario in the Canadian province of Ontario. It boasts impressive dramatic architecture, gorgeous parks, and several magnificent historical sites. This includes the Royal Botanical Gardens, the HMCS Haida National Historic Site, Dunduen Castle and the Canadian Warplane Heritage Museum. Popular attractions include the African Lion Safari Park, the Art Gallery of Hamilton, the Canadian Football Hall of Fame, and the Cathedral of Christ the King. 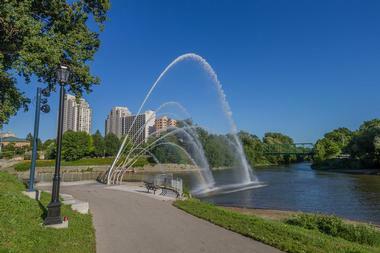 It is home to several also home charming and vibrant neighborhoods as well as several natural areas such as Sam Lawrence Park, Bayfront Park, and Webster’s Falls. Kingston is a small city located halfway between Montreal and Toronto, situated along the stunning shores of Lake Ontario. Established in 1673, this charming, old city originally served as a French trading post. Today, it is known for its rich history and culture and acts as the gateway to the UNESCO-designated Rideau Canal and the legendary 1000 Islands. Often referred to as the Limestone City, downtown Kingston is home to several of its extraordinary limestone historic buildings such as Hendry House, Westbourne Terrace, and Parkview House. The city also features several art galleries, museums, and historical sites like Fort Henry, used during the War of 1812. Lake Erie is one part of the five Great Lakes located in North America. It is nestled along the International Boundary between the United States and Canada with its northern shore occupying the Canadian province of Ontario. The lake is believed to have anywhere from 1,400 to 8,000 shipwrecks making a popular destination for divers. However, there are only 270 confirmed shipwreck locations to date. Several public parks surround the lake including UNESCO’s Biosphere Reserve, Long Point Provincial Park and Sand Hill Park. Lake Erie is also home to several diverse islands. The popular, Pelee Island boasts a unique and dynamic ecosystem with rare plant and wildlife, it’s reachable via a ferry from Leamington, Ontario. Bounded by New York on the south and Ontario on the north, Lake Ontario is the most easterly and smallest of the Great Lakes. Many of Ontario’s most popular cities are located along the lakes northern and western shores, this includes Hamilton and its capital city Toronto. It is the home of several islands, the Toronto islands as well as islands, Wolfe, Association, Amherst, Simcoe, Waupoos, Big, and Garden situated in Ontario. Several lighthouses are scattered along its shores such as Gibraltar Point and Presqu’ile. The lake features over 100 beaches and houses the second oldest shipwreck of the Great Lakes. London is located in southwestern Ontario just a two-hour drive away from Niagara Falls and Toronto as well as the United Stated border at Michigan and New York. It is surrounded by the largest freshwater lakes in the world and is known as the Forest City with more than 200 parks. 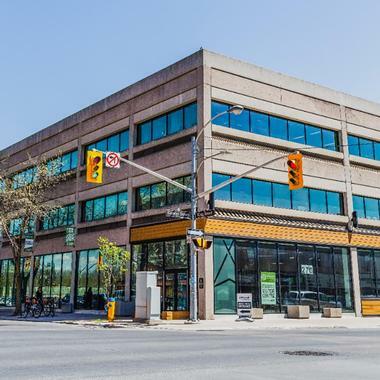 It is home to Budweiser Gardens, a premier sports entertainment center, The Grand Theatre, Canada’s oldest professional theatre, Museum London, and The London Children’s Museum. The city features a thriving arts scene, charming famers markets, and a vibrant nightlife. It is also known for its rich historic roots, impressive architecture, and diverse culture including 175 churches, cathedrals, temples, synagogues, and mosques. The sixth largest city in Canada, Mississauga is a corporate capital and home to the largest airport in the country, Toronto Pearson International servicing 32 million passengers a day. 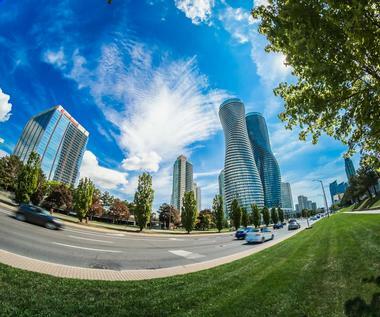 Ranked as the safest city in the nation for eight years straight, Mississauga is home to several family-oriented attractions and activities with an emphasis on the arts, outdoor recreation, history, and sports. The city features over 480 parks and more than 20 primary trail systems including a waterfront trail that runs from the Quebec border to Niagara-on-the-Lake. Visitors can also explore several of Mississauga’s charming historic villages like Port Credit situated along the Lake Ontario shoreline. A regional municipality of Central Ontario, Canada, Muskoka has a variety of fun things for visitors to see and do year-round. 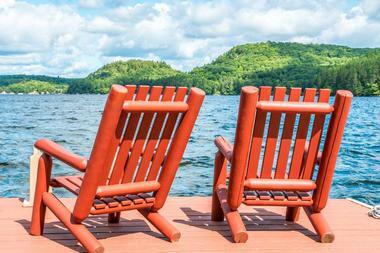 Muskoka has several pristine, shimmering lakes that are ideal for a day of boating and water recreation; visitors will be able to enjoy fishing, tubing, wakeboarding, and waterskiing. The lakes are also perfect for boat tours and dinner cruises, paddle boarding, canoeing, kayaking, and swimming. The area’s beautiful, natural surroundings can be explored by ATVs, mountain bike trails, zip line, aerial parks, and picturesque hiking trails. Santa’s Village Family Entertainment Park has been one of Muskoka’s top attractions for more than 60 years now, and is a must visit when in the province of Ontario. Niagara-on-the-Lake is a charming waterfront town situated in the southern part of Ontario, Canada, along Lake Ontario’s picturesque shores. The small town is known for its summer Shaw Festival and award-winning wineries. 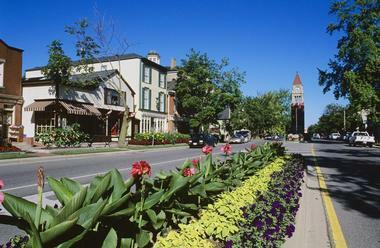 The tree-lined, flower-filled old town features several 19th-century buildings, many of them located along Queen Street. Visitors will find several points of interest to explore around town, including the Fort George National Historic Site of Canada, Queenston Heights Park, and the McFarland House. Lake Ontario is the perfect playground for boating, jet-skiing, wakeboarding, waterskiing, fishing, paddle-boarding, canoeing, kayaking, and so much more. 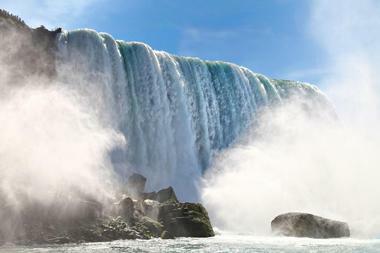 The town’s visitors will be just a short 15-minute drive from one of Canada’s biggest attractions, Horseshoe Falls – Niagara Falls. The perfect city for outdoor enthusiasts, Peterborough is situated along the beautiful Otonabee River in Central Ontario, Canada. The river offers an idyllic setting for enjoying water activities such as jet-skiing, boating, fishing, waterskiing, paddle-boarding, wakeboarding, swimming, and tubing. Apart from river activities, visitors can partake in a variety of outdoor adventures that include spelunking through glacier formed caves, hiking the area’s picturesque trails, or golfing at one of the city’s championship courses. 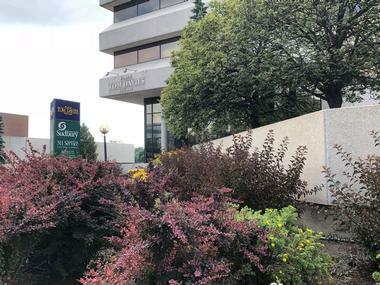 Peterborough has many attractions and points of interest to explore, including Petroglyphs Provincial Park, the Peterborough Lift Lock, Riverview Park and Zoo, and Canadian Canoe Museum. Visitors will appreciate the city’s plentiful wilderness areas, sparkling waters, and lush forests. Sault Ste. 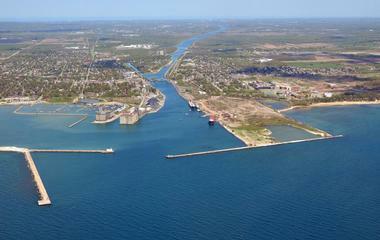 Marie is city situated along St. Marys River, Lake Superior, and the United States border in Ontario, Canada. The city is famous for its 19th-century Sault Ste. Marie Canal – a National Historic Site that’s also part of the country’s national park system. The Canadian Bushplane Heritage Centre has a vast collection of flight simulators and aircraft for visitors to explore. 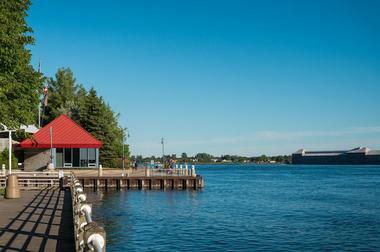 Some of the city’s other attractions include the Art Gallery of Algoma, the Sault Ste. Marie Museum, Hiawatha Highlands, and Kinsmen Park. Sault Ste. Marie is perfect for outdoor recreation all year-round, including hiking, kayaking, ice climbing, mountain biking, zip-lining, and rock climbing. 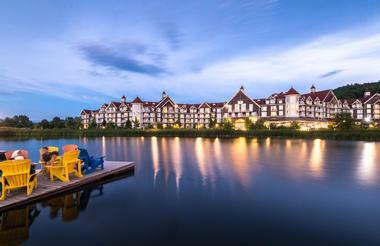 The Blue Mountains is a small, charming town situated along the shimmering Nottawasaga Bay in Ontario, Canada. From families to groups of friends to couples seeking a romantic getaway, this little town has the perfect activity or adventure for everyone. Thrill-seekers will appreciate the town’s bike park and rugged mountain-biking trails during the summer, and freshly powdered ski slopes in the winter. The bay offers up plenty of opportunity for fun water activities, such as sailing tours, boating, fishing, paddle-boarding, kayaking, and jet-skiing. Visitors will enjoy unique shopping experiences, sensational waterfront dining, world-class attractions, and breathtaking scenery around every corner. Thousand Islands is a North American Archipelago, or group of islands, located in the St. Lawrence River near Ontario, Canada. Comprised of over 1,800 unique islands, Thousand Islands offers plenty of opportunity for outdoor recreation, and provides an idyllic setting for a peaceful vacation. Located along the United States and Canada borders, the region features rich history, unique culture, and endless, picturesque shorelines. Visitors will have several fun and interesting activities to choose from, including guided boat tours, fishing tours, wakeboarding, and jet-skiing. Visitors will have the chance to explore some of the region’s more popular attractions, like the Kingston Waterfront, Brockville Railway Tunnel, and Fort Henry National Historic Site. Thunder Bay is a waterfront city situated along one of North America’s Great Lakes – Lake Superior, in the northwestern region of Ontario, Canada. 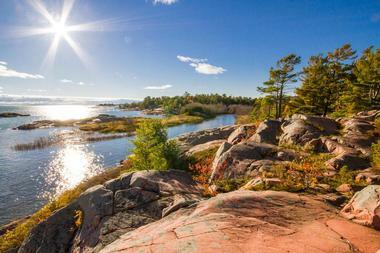 Thunder Bay offers an exciting variety of active and urban lifestyles. The city is set against a marvelous backdrop of lush boreal forest, pristine rivers and lakes, the rugged Canadian Shield, and countless trail systems. Visitors will enjoy breathtakingly serene surroundings with opportunities for outdoor recreation at every turn. Some of the fun and exciting activities to enjoy around Thunder Bay include fishing, hiking, mountain-biking, boating, jet-skiing, and horseback riding. The Terry Fox Monument, Fort Williams Historical Park, and Hillcrest Park, are just a few of the city’s top attractions for visitors to explore. 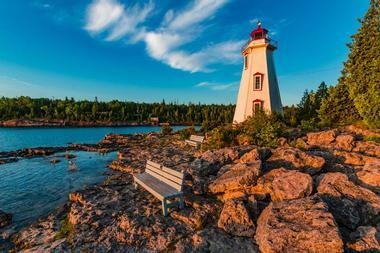 Tobermory is a charming harbor village located on the Bruce Peninsula of Canada’s Ontario province. The land around Tobermory is renowned for its marvelous natural setting, truly a photographer’s paradise. The region features miles of lush forest with tall cedars and pines, majestic cliffs, and beautiful turquoise waters. Tobermory proudly serves as the home to North America’s greatest concentration of native orchid flowers. Visitors hiking along the area’s magnificent trail system may be lucky enough to catch a glimpse of a gorgeous Showy Lady’s Slipper Orchid, or rare Calypso Orchid. The village is situated near Fathom Five National Marine Park, the site of 19th-century lighthouses, the Flowerpot Island sea stacks, and a number of shipwreck dive sites. Recognized as one of Ontario, Canada’s, premier tourist destinations, Wasaga Beach is a 14-kilometer beach that stretches along the shimmering Nottawasaga Bay. Visitors will enjoy a pristine, white sand beach, clean warm waters, and breathtaking, panoramic mountain views. 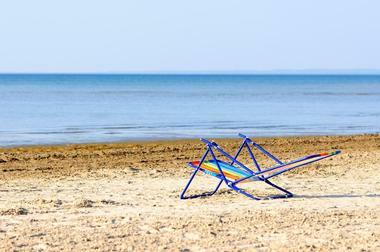 Wasaga Beach offers a tremendous variety of excellent restaurant and accommodation options. One of the area’s best kept secrets is the recreation trail system. The picturesque trails are perfect for snowmobiling, cross-country skiing, mountain-biking, and hiking. Wasaga Beach also provides plenty of opportunity for exciting water activities, such as boating, jet-skiing, fishing, tubing, wakeboarding, kayaking, and waterskiing. Thrill seekers can go skydiving over the beach, giving them the chance to admire its beauty from a one-of-a-kind perspective. 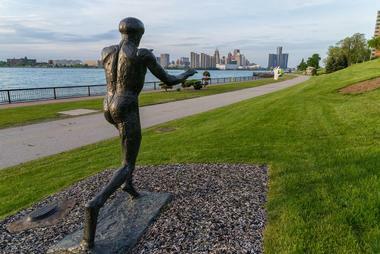 An International Gateway between the United States of America and Canada, Windsor is a city in Ontario that offers fascinating cultural and historical landmarks, unparalleled waterfront gardens and parks, and world-class entertainment. Visitors will enjoy a city that is committed to being one of the most vibrant and creative destinations, where artistic expression is encouraged, and cultural diversity is celebrated. Whether visitors are interested in artistic and intellectual experiences, or some of the best recreational and heritage sites around, the city has it all. Some top attractions include Windsor Sculpture Park, the Art Gallery of Windsor, and the Chimczuk Museum.